I agree with this a hundred percent. Orchestrated music is exponentially better than the classic video game bleeps and boops. 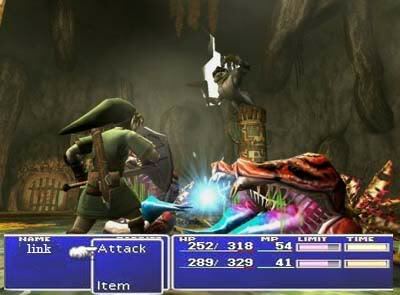 I personally know people, who when they picked up Twilight Princess, they could not even get through the first dungeon. People who have been playing Zelda since the beginning have grown accustomed to its style of puzzle and way of thinking. I’m not saying Zelda is was too difficult, but many games employ difficulty levels that can be changed. A darker story does usually draw people in, but don’t get that confused with too many dark settings. 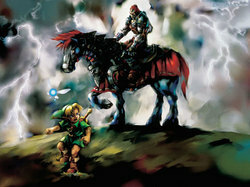 Hyrule field was still a bright and exciting place in Ocarina of Time. This has long been debated by many fans. Personally, I wouldn’t mind it as long as it was done well. More side-quests, more freedom…who wouldn’t want that? Each play through would be a unique experience and I could put off the wind temples for a later date. I really didn’t care for the level up system in Adventure to Link while others loved it. I would prefer Zelda stuck to the non-leveling system and certainly stay away from anything to do with turn-based combat. Joking aside, too many RPG elements might turn many fans away.